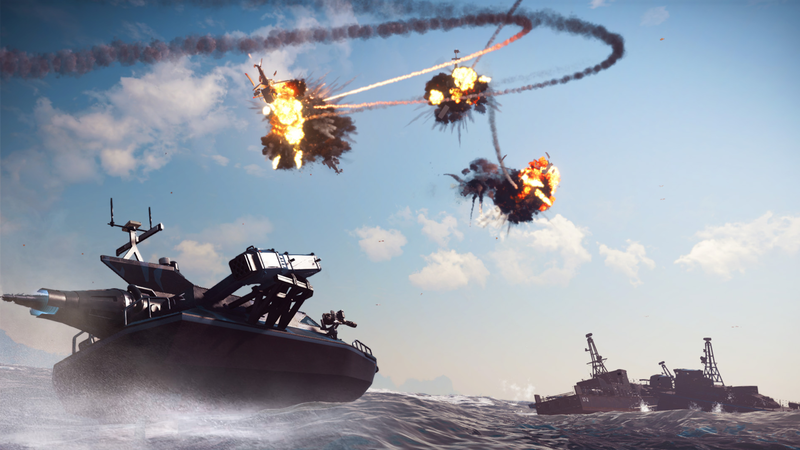 So, the final part of the Just Cause 3 DLC has hit as part of the season pass offering. 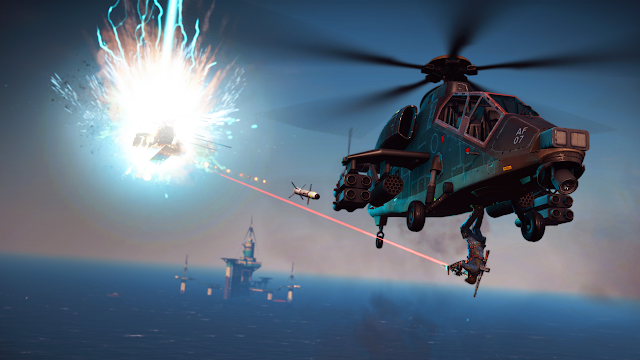 Just Cause 3 has been the bomb; a game that revels in its absurdities and took its open world shooter to silly new heights while maintaining a level of challenge that made this nigh on addictive. With Rico Rodrgiuez, the mercenary hell-bent on doing the right thing in the most destructively beautiful way possible, the game's anti-hero and anarchic vibe was the perfect combination. With the Air, Sea and Land expansion pass DLCs that have dropped, the game's barely moved away from such sentiments and gameplay mechanics. In the final expansion though, it's more a case of routine chaos rather than saving the very best for last (though admittedly the reward is pretty damn destructive and would help with the rest of the game if you've not completed it). At the end of the Land expansion pack, there was a hint that the DLC's Bad Guys, the Black Hand were threatening something big - and in the sea heist, Rico has to explore the western side of Medici and take out a sea installation called the Stingray. Fortunately, Rico's got access to a craft with some pretty impressive air weaponry in the form of rockets and speed in the form of nitro... So, under the guise of one last mission, Rodriguez is back to help Medici. Just Cause 3: Bavarium Sea Heist DLC is fairly playable for what it is. The Black Hand bad guys seem a little less easy to dispatch this time around and it may take a little longer in the early stages of the heist to kill them all off. But a lot of the challenge dissipates when Rodriguez gets the Loochador boat (as it's nicknamed) because everything can be taken out by the cluster of six rockets fired at once. And travelling through the seas from Rodriguez's cove to the Stingray is fairly tedious as it appears there's little life out there if you play the game in order (as this reviewer did). 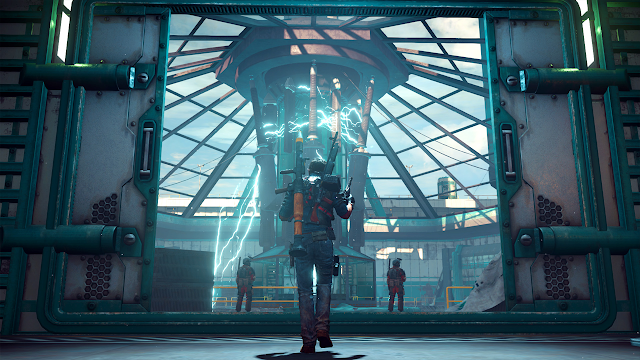 But it's fair to say that once you've liberated the Stingray, the final challenge is meaty, but given that you have the Eden Spark weapon, a sort of lightning bolt from the sky piece of tech that has limitless energy, the game's hardness exponentially drops.